The Japanese car manufacturing giant, Nissan is all set to launch its flagship sedan car Nissan Sunny with automatic transmission. As soon as the company announced this, it has created an interest among many individuals, who are looking to own a sedan car with AT feature. 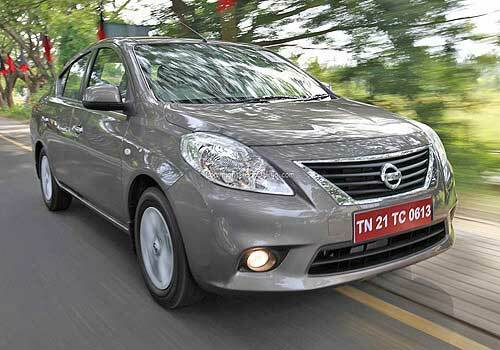 The upcoming Nissan Sunny AT will definitely help company to boost its sales in India. At present, there is only limited information available regarding this upcoming sedan car that says that includes nothing about Nissan Sunny AT price or its features. However, according to the trusted sources and according to the market experts, the automatic transmission gearbox will be fitted to the top end variant of Sunny that costs around Rs. 8.0 lakh to Rs. 8.5 lakh. However, it is going to be with petrol fuel option and there is no information regarding diesel variant with AT feature. At present, there is a lot of demand for the cars with automatic transmission option and the Japanese car manufacturer is looking to cash in the demand by launching the automatic version of Sunny in India. 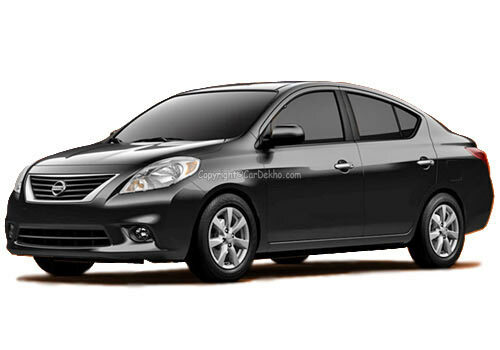 Nissan sunny was first launched in the year 2011 and since then it has created a large market space for the company in Indian. The features of this car, its performance, features, inner space and its style has attracted many Indians. Now the upcoming Nissan Sunny AT features are expected to be the same as existing version but there might be some changes depending upon the market trend. The specification of Sunny include 1.5 liter engine with a displacement capacity of 1498cc (for petrol engine) and 1461cc (for diesel engine). However, as the upcoming vehicle comes with petrol fuel option, it is expected to be equipped with 1498cc engine that can churn out a maximum horse power of 97.7 Bhp and makes a torque power of about 134 Nm. By looking at these numbers one can expect for a high performance from this car and moreover, its mileage will be around 16.95 Kmpl. When it comes to the most important styling part, it has a beautiful body design with impressive front view. The front view is very attractive with chrome grille, stylishly designed headlamps, body colored bumper with integrated air dam and fog lights that enhance the appearance as shown in the Nissan Sunny AT pictures. Another most important thing about this sedan car is its huge inner space that can provide comfortable seating for about 5 people. People who are looking to purchase a Nissan Sunny should consider waiting for the AT version, which is about to launch in the Indian markets sooner. Of all Nissan cars in India, Sunny is arguably the most successful car, which is one of the reasons you must consider affording this vehicle.